At InterCheck we have been working hard behind the scenes the last few months to introduce you the new application form which makes the process of obtaining a police check much easier and faster. 1. Changes in the new application form! 2. If you are an existing user, this change will not affect your current application and you can just continue where you left off. You can complete the application form and manage your application’s status across all devices. Modernised and intuitive user interface helps to navigate through the application even easier than cutting a piece of cake. Upload feature works seamlessly on mobile devices and users can now take a photo directly from their mobile devices. Now you can scan your credit card instead of having to manually key in the details. Simply position your card and it will scan both your name and number. You will still need to manually enter the expiration date and the 3 digit security code on the back of your card. We know background checks can provoke anxiety in even the most qualified candidates. Since the new updates on the application form, we have received a tremendous amount of positive reviews from applicants regarding how easy it is for them to obtain their police checks. 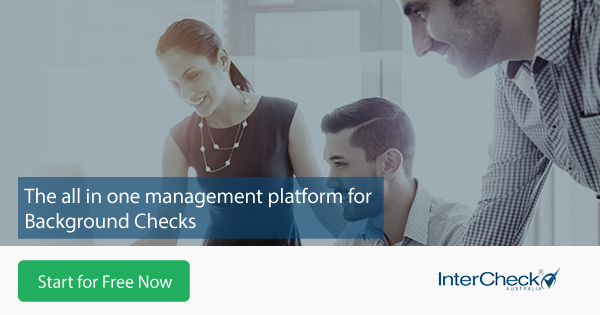 InterCheck provides customised police check solutions that align with your business’ needs and HR process. To get started, simply click here or if you wish to learn more, please go to ‘Information for Police Check Business Portal’.